FTP is the best online storage platform before cloud storage evolution, FTP widely used by many tech professionals to store files and access them remotely and it’s more secured where the files are saved in local server of the user if they have own server. Cloud Storage is the latest development of the online file storage where users can store files online without much technical knowledge and technical integration. BY Cloud Storage has evolved rapidly with advanced features for user like file management, categorization, sharing, collaboration and etc, considering the benefits offered by cloud storage many FTP users migrate their data from FTP to Cloud Storage. One of the most popular Cloud Storage in now a day is OneDrive and many FTP users wanted to transfer all their files from FTP to OneDrive. Manual procedure to migrate files from FTP to OneDrive is to download files to the local computer from FTP account and upload them to OneDrive. This process consumes lot of time and bandwidth. CloudFuze Offer most simplified solution to migrate all your data from FTP to OneDrive with 3 simple steps. Step 1: Click on “Move” button on the left menu on the CloudFuze web app home screen . You will then see the “Move” feature home screen. On this screen, you can select the “Source Cloud” from the list of cloud services that you set up with in CloudFuze. The “Source Cloud” is that account that you will move files FROM. Step 2: Select the FTP account that you would like to move/transfer a file from . 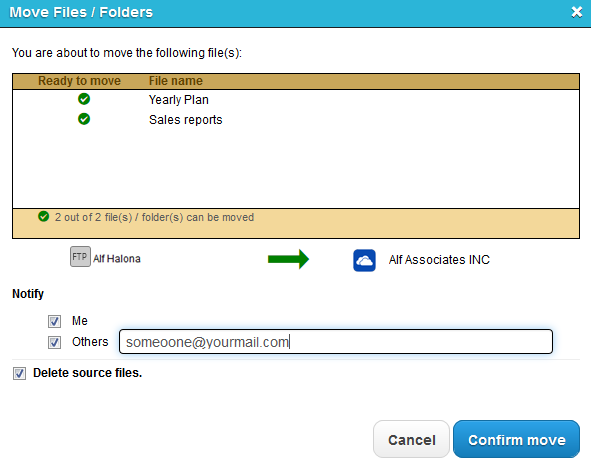 When you select this account, you will see list of files and folders stored in that other FTP account. Next, select the particular file/folder that you would like to move. Note: Select OneDrive as source cloud and FTP as the destination cloud if you would like to transfer from OneDrive to FTP.  Step 3: Finally, inside the right OneDrive of icons . Then select the folder to where you would like to move files. To complete the “Move” just click Move button in the bottom right corner of the screen. Make sure you unselect the option if you still require that file in the source cloud and then confirm the move..
After you click on “Confirm Move”, you will see a message that the move has been initiated. Next you will see the file migration status and notification once the “Move” is processed.